Instagram is a platform that I believe everybody should be on. In fact, for a while now, I’ve been trying to convince Jon and Nic to get Instagram accounts and - because I'm great - they've finally jumped on the hype. Their accounts have the potential to be #instagoals; from their house interiors, to their wonderfully weird dog, to the people they work with 😏. But they’re currently lacking the insta-knowledge to reach this full potential. So here’s everything you need to know to start out on Instagram and have a great looking feed too. You can’t polish a turd. The photo you want to upload has got to be somewhat decent already if you want it to be Instagram worthy post-editing. Read our post about how to take better photos on your phone for some tips. 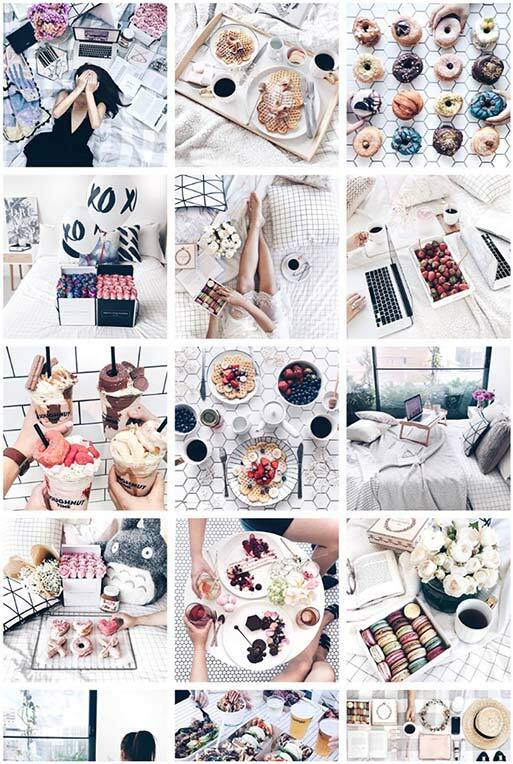 The best Instagram accounts have a consistent theme. Often it’s a dominant colour but this can limit the sort of photos you're able to upload. To get around this, stick to the same filter and adjustments on every 'gram. 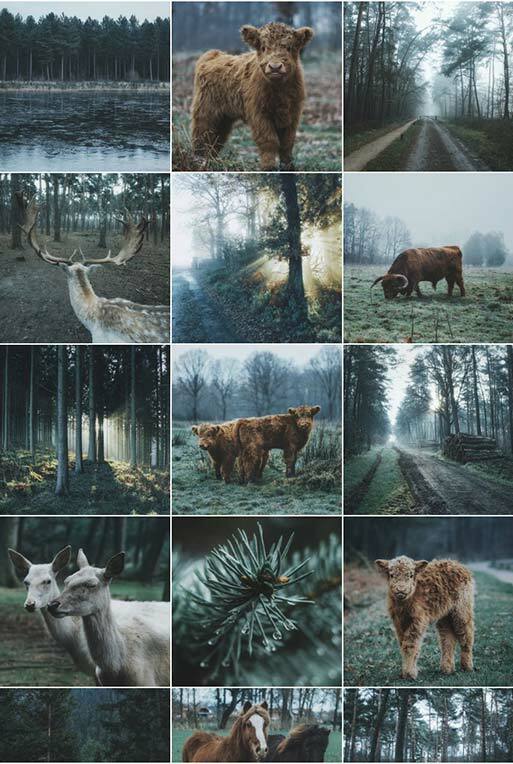 We love looking at Lichipan’s absolutely STUNNING feed. Her dominating colour is white with slightly desaturated hues and tones. Living It Rural has totally owned the Instagram game by using the same filter for every picture and even using a positioning pattern - but this is probably something to think about once you’ve got the hang of Instagram. For now, just use one filter. Maintaining a consistent theme is easy with the right filters - but how do you find them? Tash, Holly and I all agree that external photo editing apps are where it's at. Here's a list of photography apps we recommend, but VSCOcam is our go-to. When applying a filter, sometimes other elements of the photograph can be lost - like brightness or shadows. This is where Instagram’s native editing tools come in handy. You can easily adjust everything from exposure to saturation through these tools, and you can even add a fade. Tilt Shift blurs the unselected area and gives you a lower depth of field. There’s only two ways to go with Instagram captions. Short and sweet, or fairly lengthy. There is no middle ground. It's totally dependent on the purpose of your post, but lengthy captions are often used to tell a story in accompaniment with the photo. Sadly, my life isn’t that exciting and all I do is post pictures of food, so short and sweet is what I normally stick with. (yes, I did just use my own Instagram photo as a prime example). (yes, I did just use another one of my own Instagram photos as a prime example). While the use of hashtags has widened since it first surfaced on the internet (can often be found used ironically, humorously, to drive a campaign), it’s ultimately used to get your posts seen. #Instagram is no exception. Hashtag auto-fill is another clever Insta-feature, allowing you to see which hashtags are popular. On a personal account, don’t use more than 10 hashtags. Make sure your Instagram hashtags are relevant, but not broad. E.G. If you’re posting a selfie, don’t use hashtags like #girl #brownhair. Don’t use punctuation in hashtags. It will break the hashtag link and you’ll end up with an irrelevant hashtag on your post. 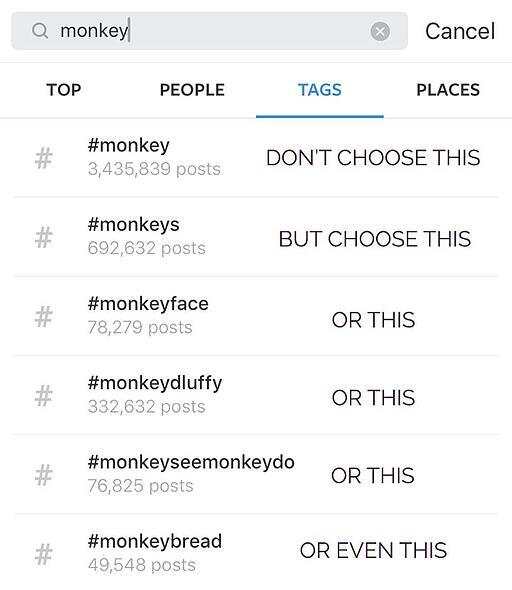 If you want to hashtag a popular topic but the topic can come under multiple hashtags, DON'T choose the most popular option. If you choose the most popular, your image is less likely to be seen due to the speed that other photos with that hashtag are being uploaded. To remain ‘relevant’ on Instagram, try posting around once a week minimum. Every day is too frequent but three times a week is ideal. And let the likes and followers roll in! Check out our Instagram game. 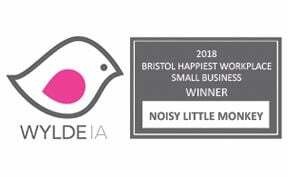 Follow Noisy Little Monkey for inspiration: @noisylittlemonkey and validate me by following @naaaatalie and liking my posts. Natalie is the go to gal for social and images. 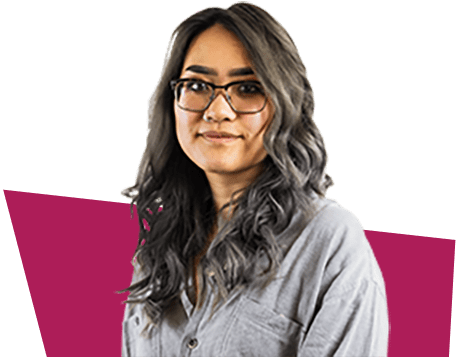 Her photo skillz are super slay and she can sling a bit of code should the need arise.